Today I have great polish to show you. 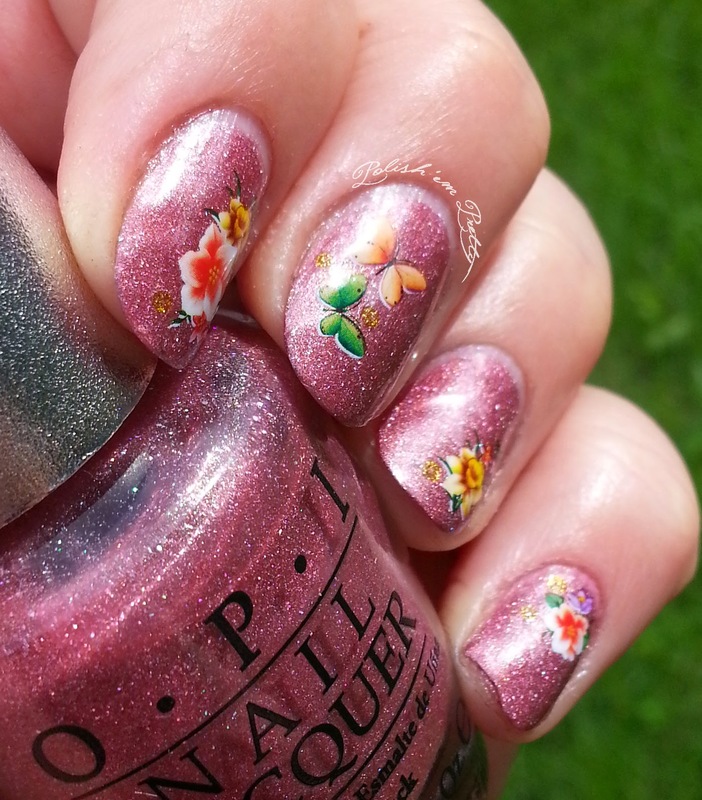 DS Opulence is a dusty mauve-pink with holographic shimmer from OPI's Designer Series collection from 2008. 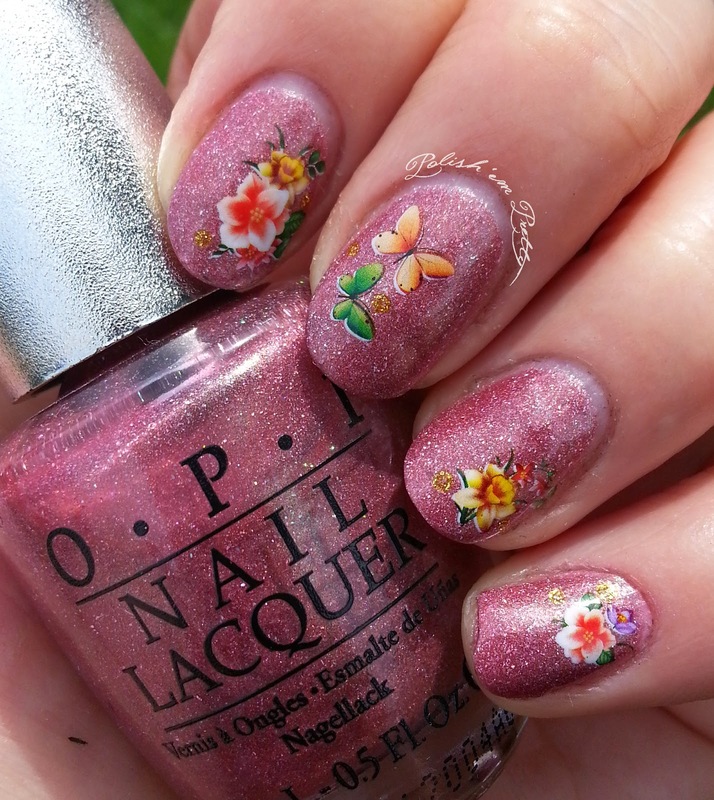 This is a really gorgeous polish. The formula was nice and easy to apply. It took 2 coats to get opaque and drying time was fairly average. This looks so great in the sun, but unfortunately there were no sun out when I photographed it. 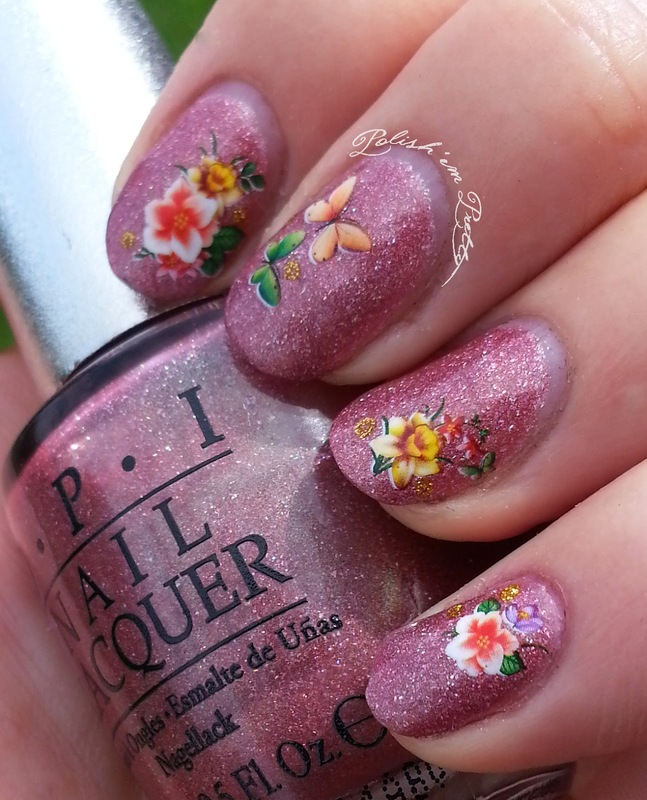 Furthermore I forgot to take photos of it before finishing the mani, so here you get it with flower decals and top coat. 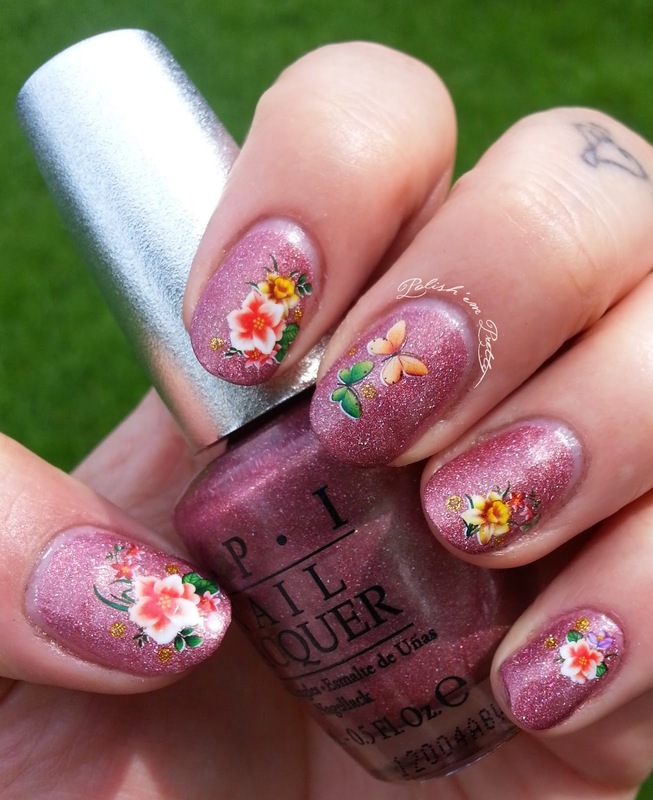 OPI - Sheer Tints Watercolor nails.